Adjustable rate mortgages, are mortgages that are tied to an interest rate that is in turn linked to an economic index. Thus as the name ‘adjustable’ implies, the interest rate and the monthly payments are periodically adjusted up or down as the index fluctuates. These loans typically offer a lower interest rate which translates to lower payments, enabling the home buyer to set up a larger loan in many cases. A fixed rate mortgage is set at a fixed interest rate that does not change over the life of the loan. Due to the security it offers, it is a low risk low return loan and the initial payment is usually higher. Two variables determine the total interest rate – these are Index and Margin. The Index is used by the lender to measure interest rate changes of the mortgage. Common Indexes include one, three, and five-year Treasury securities to name a few. Each ARM is linked to a specific index. 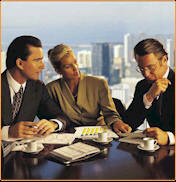 Margins on the other hand can be considered as the lender’s markup. It is an interest rate that represents the lender’s cost of doing business and includes the profit they will make on the loan. The margin usually stays the same during the life of the loan. Adjustment period is the time period between rate adjustments. ARM provides a good option to take up if you need a bigger loan or expect income increases in the future that may or may not lead to higher payments. You may also opt for an ARM that can be converted to a fixed rate mortgage at a low conversion fee.